Dr. Keith Thomson, B.Sc., D.C., N.D. (Ret), C.C.R.D. When I was very young, I suffered from terrible, debilitating migraine headaches. I missed so much school I was held back a year. Since childhood I was also covered in eczema. Nothing helped…no medications, creams, salves, diets… until my mother took me to a “choirpractor”. My headaches and eczema cleared up. My life of suffering changed! Growing up my love of nature and the forest had me investigate becoming a Forester. While working for the Department of Lands & Forests, I realized that I wouldn’t be out in the bush that much, but behind a desk. It happened at that time I hurt my low back jumping over a fence. Again I was led to seeking the help of a chiropractor, and again, chiropractic resolved my suffering. I decided to become a Chiropractor…I enrolled in the Canadian Memorial Chiropractic College in Toronto, Ontario. While there I also realized I wanted to learn the skills of being able to help people with safe, natural health approaches and so after completing my Doctor of Chiropractic degree, I completed my Naturopathic Doctor degree from the Ontario College of Naturopathic Medicine. Since that time, 40 years later, I have had the privileged of serving and helping tens of thousands of patients. I have a keen interest in the principles of chiropractic and naturopathic physical medicine, for both the young and old, which may include manipulation/mobilization, acupuncture, homeopathy, botanical medicine, lifestyle counselling, nutrition, laser therapy, remedial exercise and weight management. I am still very excited about practice and love going into my office every day. To relax I enjoy travel, reading a good novel or clinical paper, country walks, fishing & boating with family & friends, attending professional seminars worldwide while catching up with colleagues who are good friends and serving my two professions in various regulatory capacities. My favourite quote is that of Ralph Waldo Emerson…”to know even one life has breathed easier because you have lived. This is to have succeeded.” This is how I live my life and how I would like to be remembered. 40 years of experience in manual (hands on), and instrument (Activator, Arthostim, and Impluse IQ) adjusting! Now Specializing in Computer Instrument Adjusting! Serving the Kawartha’s for 40 years! Dr. Aaron Balmer, Hons Kines., D.C.
Dr. Balmer began his chiropractic education in Los Angeles California before transferring to the Canadian Memorial Chiropractic College to finish his 4 yr chiropractic education. 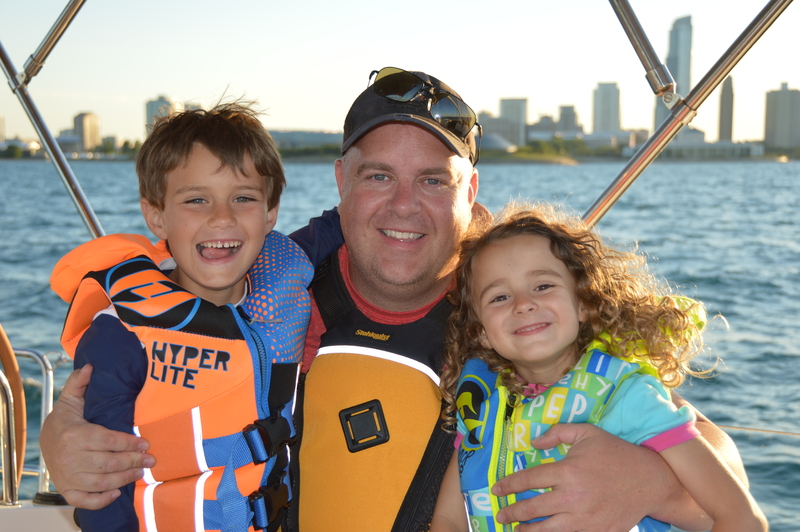 Prior to that Dr. Balmer completed a 4 year specialized honours degree in Kinesiology and Health Science. 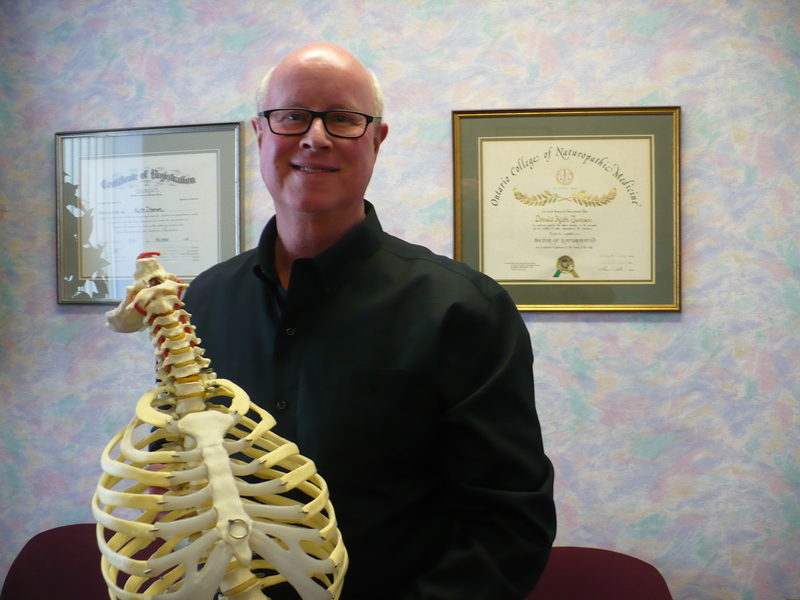 Dr. Balmer has served the College of Chiropractor of Ontario as an X-Ray peer reviewer and is a member of the Canadian Chiropractic Association and the Ontario Chiropractic Association.